I disagree with your evaluation of the Honeylocust. They are very useful on a homestead and farm. Very high BTU for fireplace. Resist rot as well as any cedar, fence posts etc. The foliage is excellent nutrition for livestock, copiced it produces an abundance of leaves. Pollard it can produce a lot of fence posts. The pods, they will fatten livestock faster than any grain. Look at the Calhoun and Hersey varieties, thornless and huge pods with up to 32% carbohydrates. Check out the book "Tree Crops: A Permanent Agriculture". Here in north Alabama they grow wild as well as ragweed and feed the wildlife. - A. B.
Q: I own 160 acres and these trees are coming up in the middle of the pasture...everywhere. I specifically need to know how they spread and the best way to eradicate them. My research on the internet and YouTube shows people cutting them down and then using Round-up. I would much rather find a natural method to kill them versus a poison. These are becoming a very big problem. 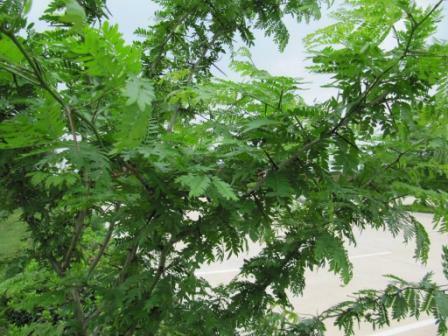 - T. C.
A: This is honey locust and a horrible plant. Trees should be cut down, 1/4 to 1/2” holes drilled into the stumps and filled with salt Peter (potassium nitrate). Mowing and spraying the regrowth with vinegar or fatty acid products. Building the soil health and encouraging competition is the long term plan.